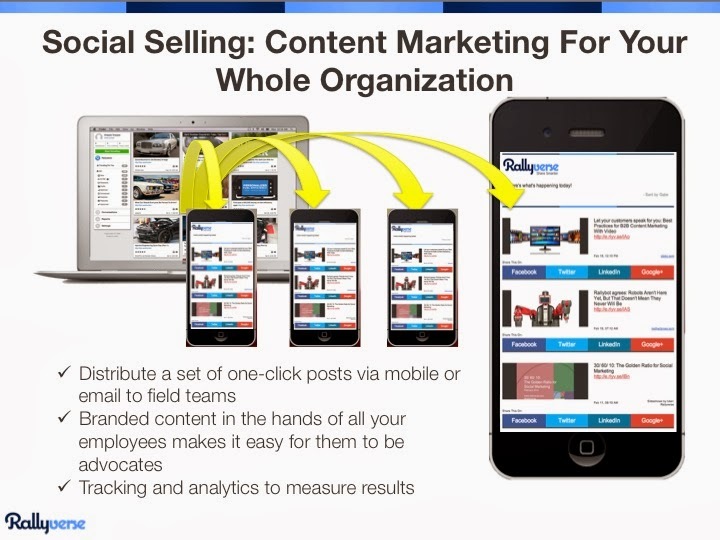 Rallyverse launched Social Selling 2 Years Ago on Februrary 19th, 2014. A lot has changed sense then and scores of organizations and thousands of consumers have utilized this powerful tool in your selling arsenal. We first launched Social Selling to help the core marketing department to distribute content to field marketing teams supporting local sales offices and teams. It was a great success but the use case has significantly blossomed. Today, core selling teams are the primary customers with their sales marketing and trade marketing teams using Rallyverse to ensure everyone in their selling organizations have content that helps their sales teams stay current and close their prospects. Rallyverse has also had a strong contingent of customer powering their employee advocacy programs with our easy to use platform. Not only can the Human Resources (HR, Recruiting, Staffing, Employee Engagement Teams) use our platform to make sure employees have great company approved content to share with their personal networks but we make it really easy to distribute to match their organizational needs such as email, internal sites, widgets, rss feeds or built right into their apps. We have made several improvements to the Rallyverse Social Selling program over the past 2 years. Most of all we have made it super flexible to meet your needs as a marketing team so you can get the content where ever your sales team or employees need it. We have also improved the core product so you can let your employees know exactly why they are getting this content and what to do with it. Put your Social Selling Content Anywhere! Rallyverse lets you put your social selling content where your sellers and employees are – not just in some app that they never log into. Put your Social Selling in Context! Rallyverse lets you easily tell your sellers and employees WHY! Why they are getting this content and what they should do. If you don’t have a Rallyverse account yet, I highly recommend you run (don’t walk) over here and find a Rallyverse Plan that fits your needs and budget. Remember that Social Selling is only included in our Professional and Enterprise packages.